CAPE CANAVERAL, Fla. — A SpaceX Dragon capsule returned to Earth on Friday with scientific gifts from the International Space Station. 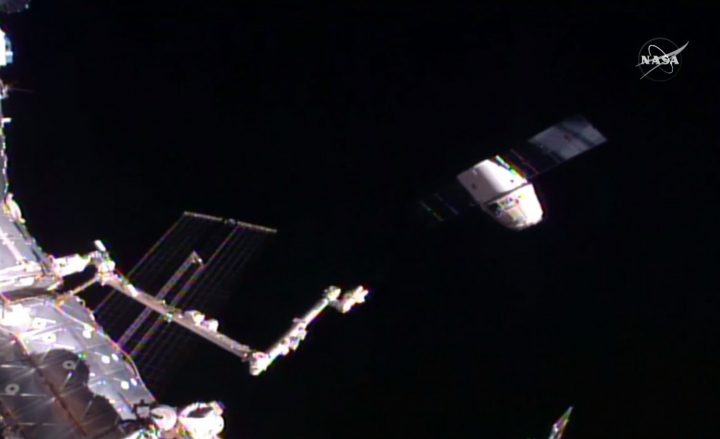 NASA astronaut Kate Rubins waved goodbye as the Dragon slowly flew away Friday morning. Six hours later, the spacecraft parachuted into the Pacific, just off Mexico's Baja California coast. It's loaded with 3,000 pounds of research and equipment, including 12 mice that flew up on the Dragon as part of a genetic study. "Good splashdown of Dragon confirmed," SpaceX reported via Twitter. Rubins and Japanese astronaut Takuya Onishi used the big robot arm to release the capsule. Mission Control thanked the astronauts for their effort, then added, "To the Dragon recovery team, fair winds and following seas." 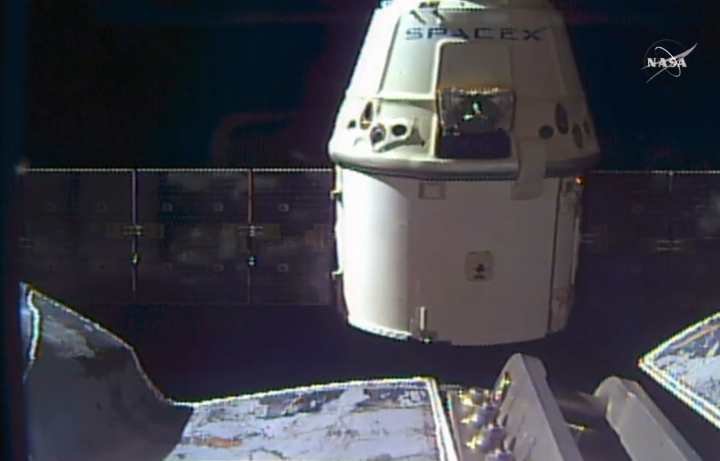 The Dragon delivered a new docking port last month that will be used in another year or two by SpaceX and Boeing, which are developing crew capsules for NASA. Its shuttles five years retired, the space agency has turned over orbital deliveries of both cargo and astronauts to private companies, in order to focus on Mars exploration. In the meantime, NASA astronauts ride in Russian capsules to the space station. SpaceX is the only space station shipper capable of returning items for analysis back to Earth; that's why the Dragon is so important to NASA. Everyone else's cargo ships are filled with trash at mission's end and burn up on re-entry.